A large cardboard zero, representing the number of times Gonzaga (21-0, 9-0 WCC) has lost so far this season, has been floating around the student section for the past several home games. Tonight there was a large cardboard one numeral in the Kennel Club as well, not in case Gonzaga lost, but because of where the Zags are headed. On Tuesday night, No 1. Villanova, No. 2 Kansas and No. 4 Kentucky all lost. And with that, the way was paved for No. 3 Gonzaga to ascend to the top of the college basketball rankings for the first time since they earned the top stop at the end of the 2013 season. With a 79-43 win over San Diego (10-11, 3-8 WCC) Thursday night, Gonzaga moved a step closer to that number one spot. This is a San Diego team that, despite its record, can really score. On January 14 the Toreros put up 88 points in a victory over BYU. Gonzaga held them to less than half that number. Few’s right, even though defense is historically an Achilles’ heel for his teams. San Diego managed a paltry 0.66 points per possession Thursday, which this season is more the norm than the exception for teams playing the Zags. Gonzaga ranks fifth in the nation in defensive efficiency by holding teams to just 0.89 points per possession. 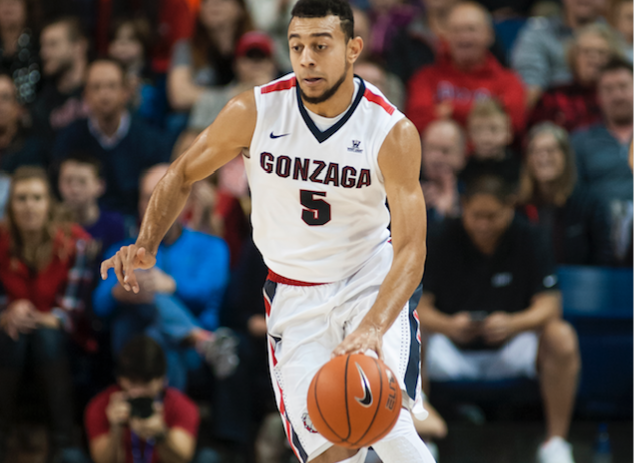 Nigel Williams-Goss led all scorers Thursday with 25 points. Johnathan Williams recorded his first double-double of the season with 13 points and 12 rebounds. University High product Brett Bailey, who leads the Toreros in scoring this season (17.4 ppg), did not have a happy homecoming. The senior forward managed just 5 points in his final collegiate trip to Spokane. Gonzaga jumped on the Toreros early with a backwards but effective style of offense that has become almost typical of this team. Przemek Karnowski, the 7-foot-1 center, dished out four assists over the first 10 minutes while Williams-Goss, the point guard, scored at will and connected on his first seven shots. The scoring column of the box score doesn’t look as balanced as we’re used to with the Zags, but the balance of skill at all positions was very clear on the floor. It’s the kind of balance and skill that top teams have. And should the Zags win Saturday at Pepperdine, that top team will more than likely be them.